The Beauty Gallery, an arcade of cosmetics brands opened in the summer of 2012. A contemporary reimagining of London’s 19th Century Burlington Arcade, the first shopping mall in the world. Curved glass forms bay windows to showcase the brands and a 3D curved stone skirting and illuminated ceiling make the bays float within the space. 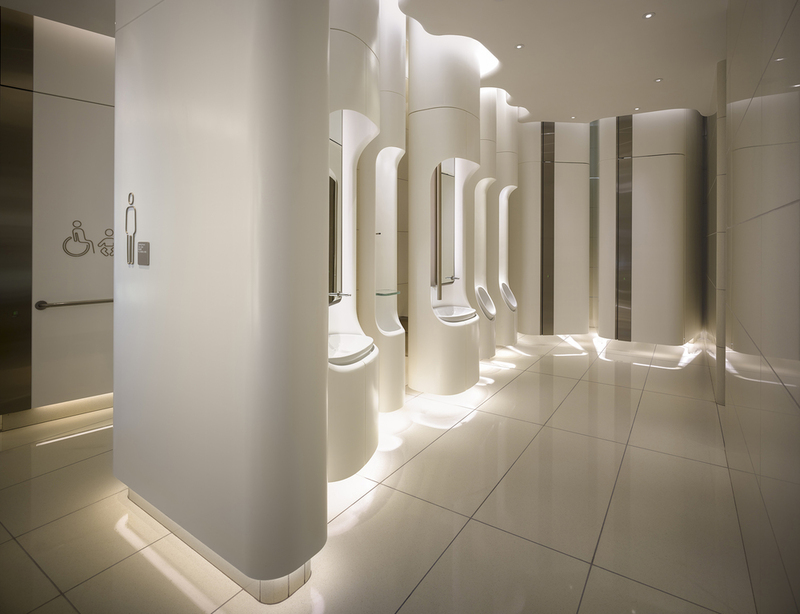 The Beauty Gallery restrooms were the fourth restroom design in the Pacific Place Contemporisation project. This design takes its cues from cosmetics packaging, clean white objects hang within the space from the ceiling. 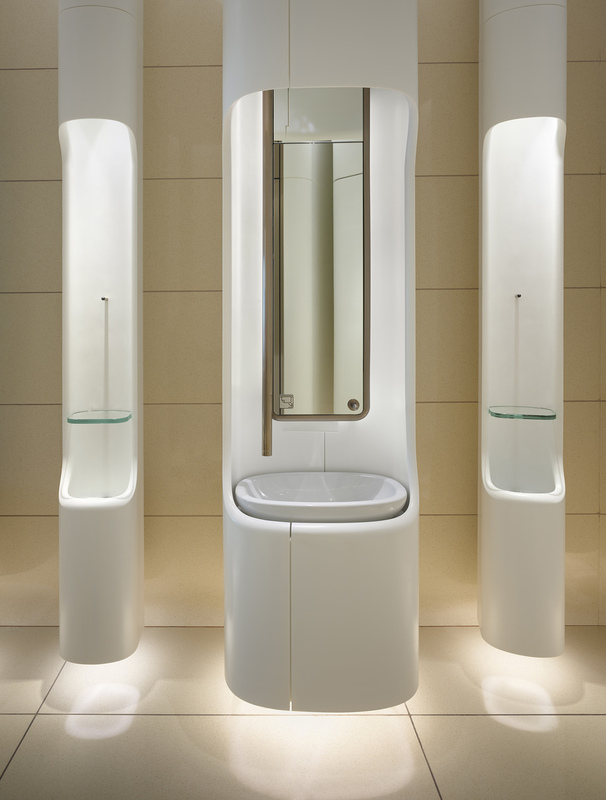 Sanitaryware is held within the units, with shadow gaps maintaining crisp tidy edges. Alex Jones was Project Architect on the Beauty Gallery and the restrooms. Alex lead a team in London from Hong Kong and worked closely with the local consultants and contractors to realise scheme.